This new range of machines all have extra large displays, which show all the information even in direct sunlight. Security features include 128/256 bit encryption, PIN/PUK access restrictions and double data storage for backup. 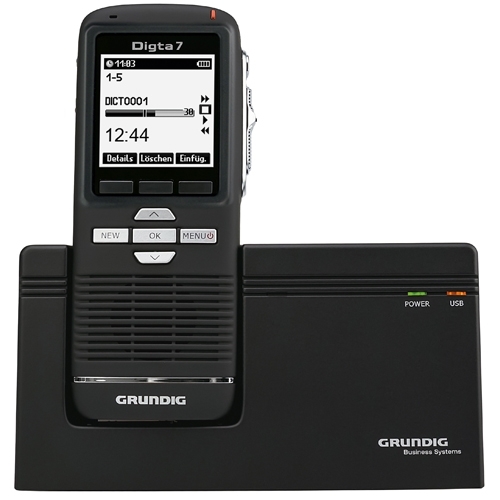 The Grundig Digta 7 Digital Recorder Premium Set has all the benefits of the Digta 7 Digital Recorder Slide, and in addition is able to record in Stereo using WAV and MP3. The Digta 7 has a large XXL display, which is very clear even in the glare of direct sunlight. In its "Easy Mode" setting, it's streamlined to its most essential functions. Included in this package are lithium-ION rechargeable batteries for significantly longer working times. The Digta 7 can also be operated using standard batteries as well. 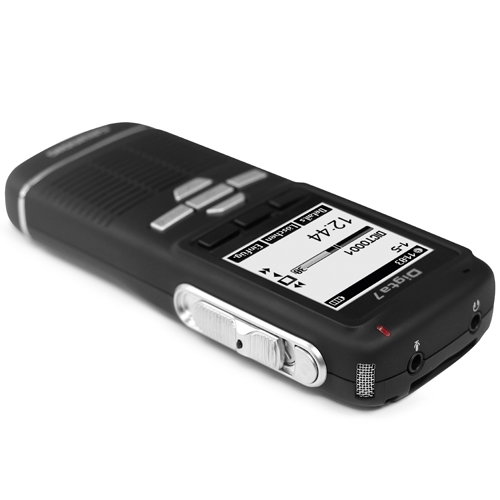 The Digta 7 has dual microphone technology giving you fantastic audio quality, ready to record dictation, interviews or conferences. You can also choose which format to record in, DSS/DSSPro/MP3 or WAV for highest quality. 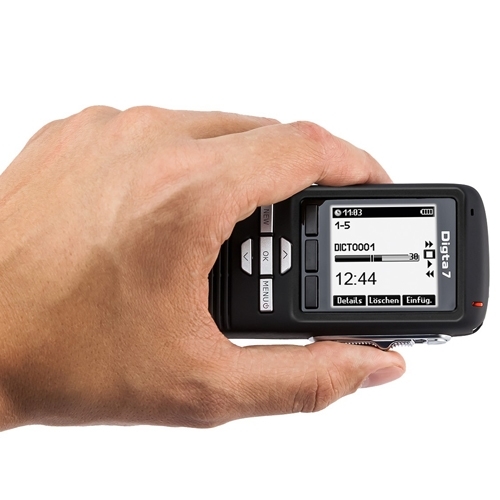 The Digta 7 has a Slide Switch with a Touch Pin . The pin only protrudes when the switch is set on "Stop". This way, you can dictate with your eyes closed; you'll clearly feel if the switch is set on record or pause. Plus, the slide switch can be configured to meet your dictation style, set for the functions you need most. The timeless, elegant design of the Digta 7 Premium is a real desktop eye-catcher. 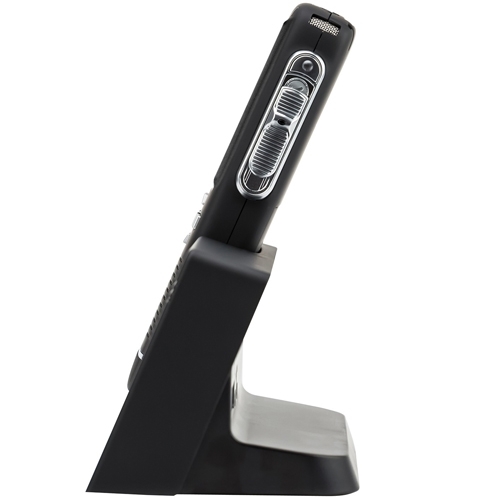 Quick and easy dictation transfer to your PC by means of the docking station Digta Station 447. The battery will be recharged during each recording pause. Especially easy to operate with "Easy Mode"